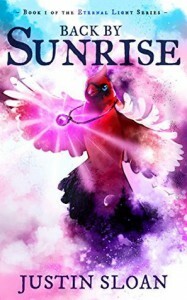 Back by Sunrise: A magical realism story (Eternal Light Book 1) - M's blog. Received this book in exchange for honest review. - Great characters ' development. Brooke is no longer just an immature young girl, and that made this book even more heartwarming. - The narrator. All characters sound exactly the same, so I had difficulties reading it. Conclusion: A great coming of age book. Will surely recommend this.